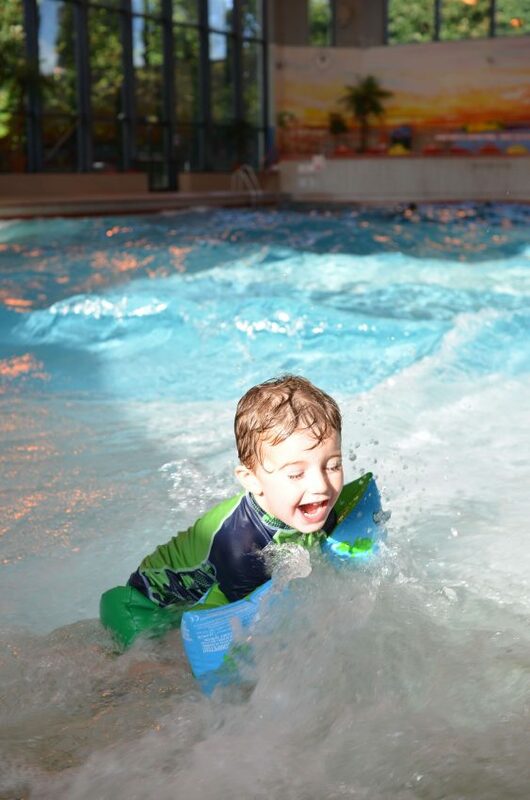 No matter what the weather our Waves Leisure Pool offers great fun for all the family! 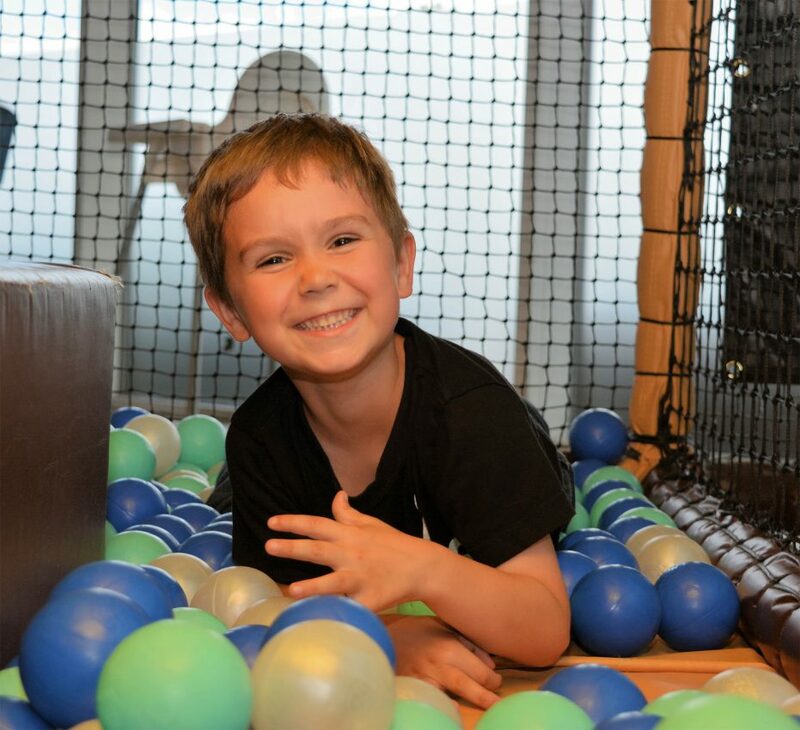 Waves Leisure Pool is located within the Riviera Centre, situated just off the seafront in Torquay. 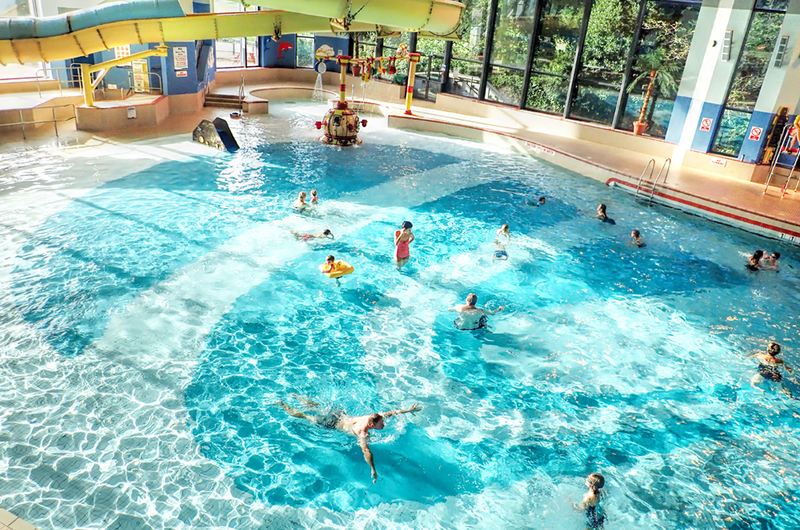 The pool features a unique sloping floor, wave machine, flume and water activity centre. 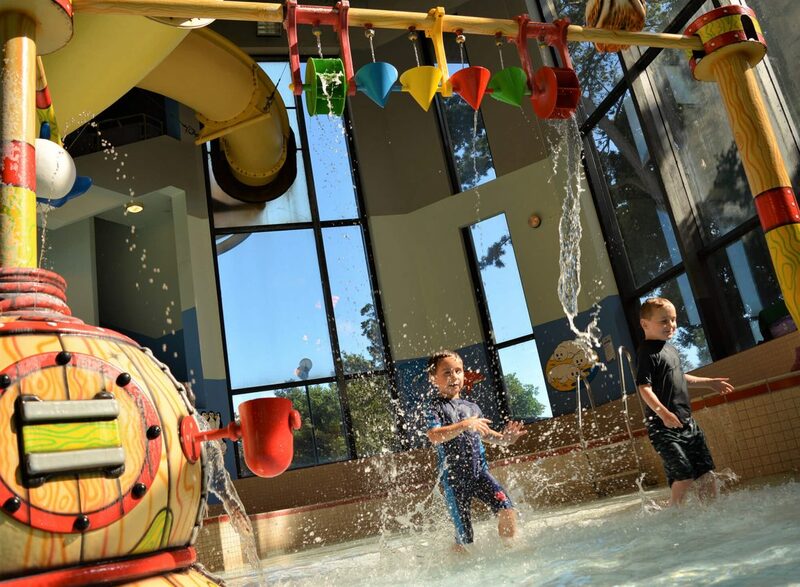 The sloping access makes it super safe so even the youngest children can enjoy the water and not feel out of their depth. Heated to a lovely 30 degrees the pool is warm and welcoming! 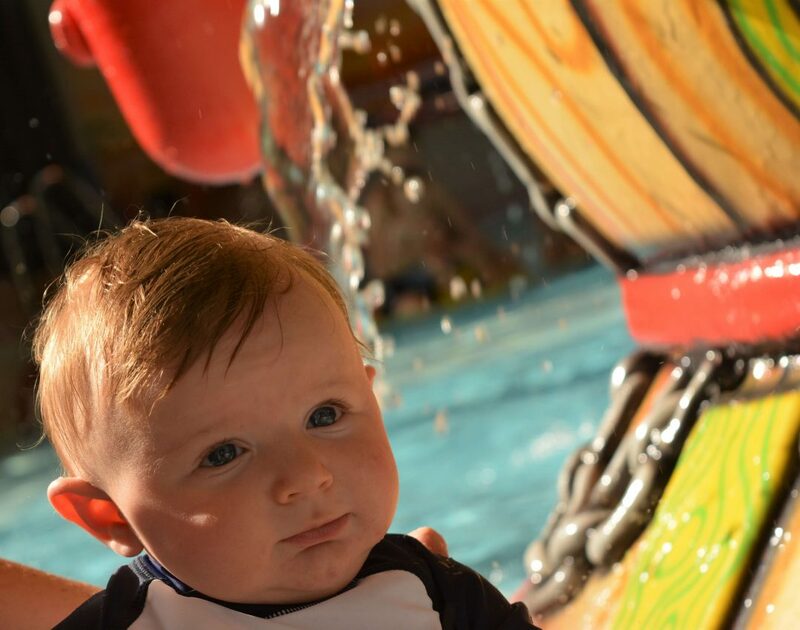 Enjoy the wave machine every half an hour and the flume adds that extra excitement to your visit*. Friendly, qualified lifeguards guarantee an enjoyable time. 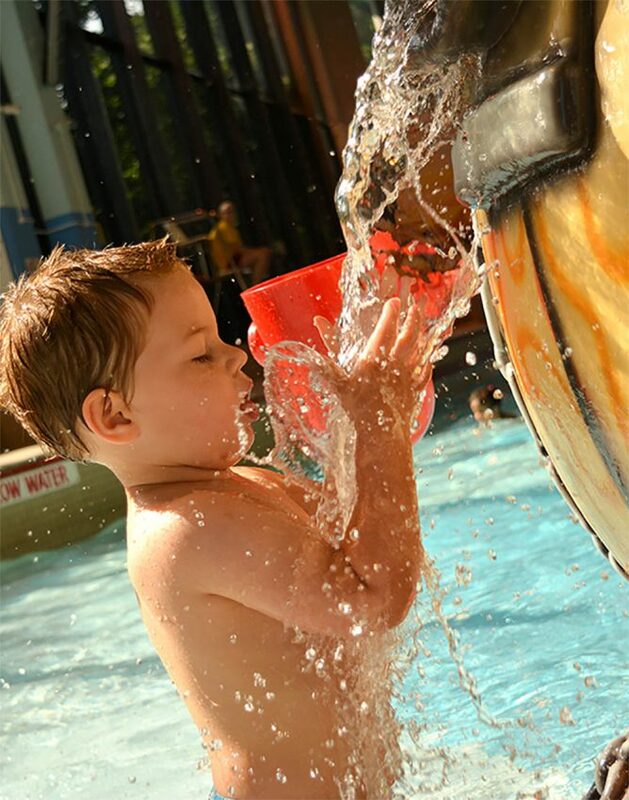 Children under three years swim for free! 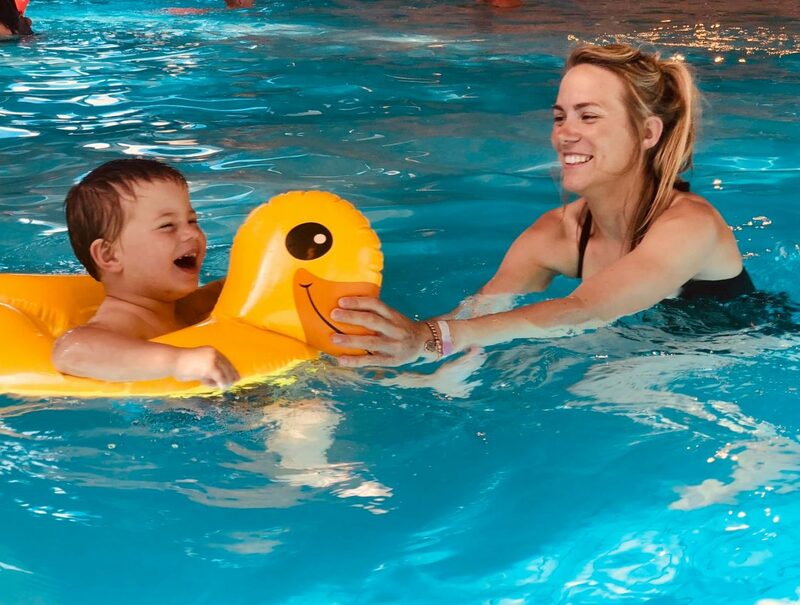 The swimming pool is open every day, with swimming lessons on offer throughout the year (including special parent and toddler sessions), children’s party packages and private hire options. 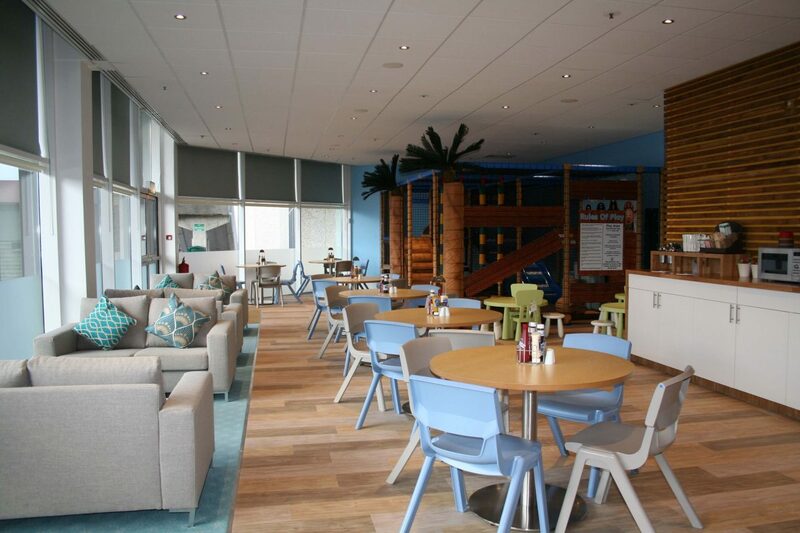 Why not swim with the kids and eat in the Aqua Lounge afterwards? The Dip n Dine package is great value for money any day of the week! There is a varied menu offering a range of meals and snacks and we are proud to provide a range of Starbucks coffees and drinks too. 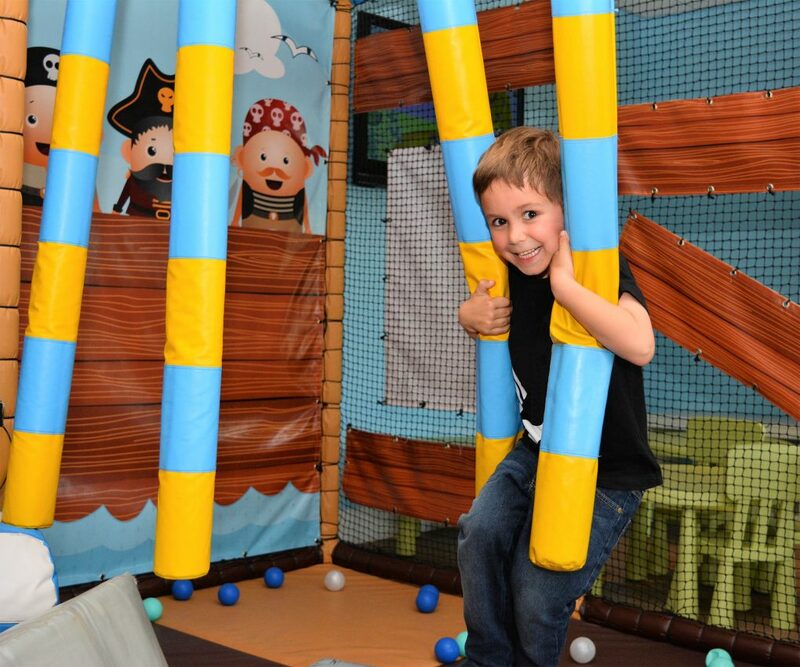 For under 8 years there is a pirate themed soft play feature, with hanging snakes, crawl tubes, slides, and a ball swamp. Perfect for keeping the kid’s happy while the grown-ups enjoy a drink or meal. The Lifestyle Health and Fitness Suite has everything you could need to tone up or lose weight. 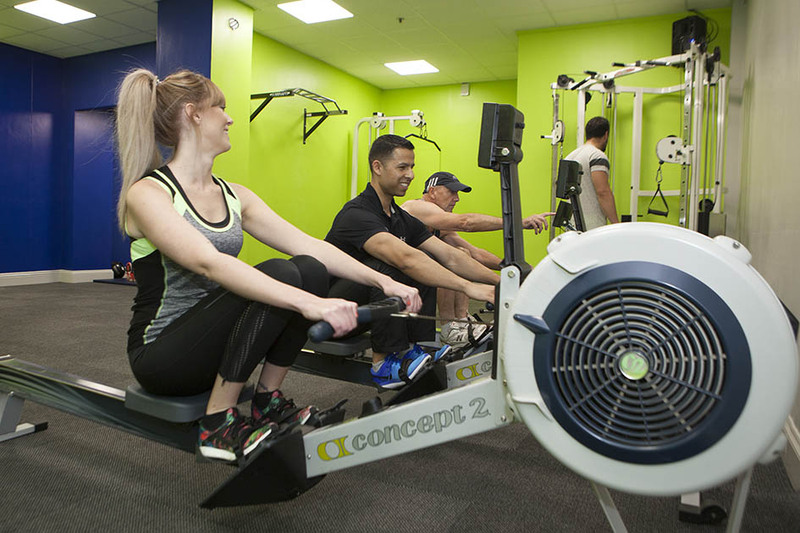 There are a range of facilities including 57 fitness machines, a large selection of free weights, a dedicated fitness studio running a comprehensive aerobics time table, sauna, steam room and Jacuzzi. * Please check opening and session times before visiting. Height restrictions apply to Flume.